DKNY has found a way to make gift giving a little more interesting than simply wrapping something up with a bow. 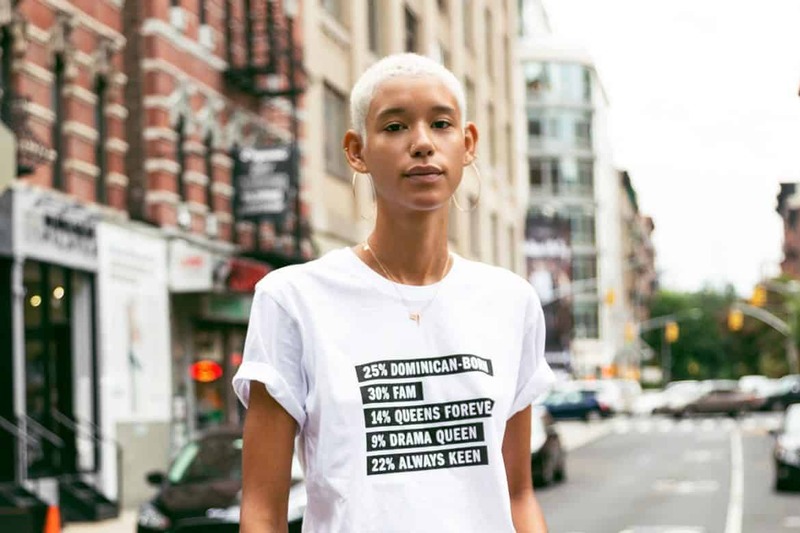 The brand is reviving its clever “100% DKNY” campaign from this past September, allowing fans to create their own custom tees and tote bags. The best part? They’re being delivered in pizza boxes. The campaign was a viral hit a few months ago, thanks in part to DNKY making tees for a bevy of celebrities (Nicki Minaj and Cindy Crawford among them). It also just happened to be a lot of fun filling out the list that adds up to your personal “100%.” That fun is back on the iamdkny.com website, a digital pop-up shop where fans can play with toggling the five elements that best describe them. The site even offers to inspire you should you come up short on your fashionable biography. Two product options are available: a tee ($50) and a tote ($25). To make things even more special, DKNY is donating the net profits from the shop to Ronald McDonald House New York. Like most good things, the custom merch is only around for a limited time. The tees and totes are available online now through December 21. Get them while you can!